Smart Cutter is an easy-to-use video cutter, splits and joins videos quickly in several mouse clicks. 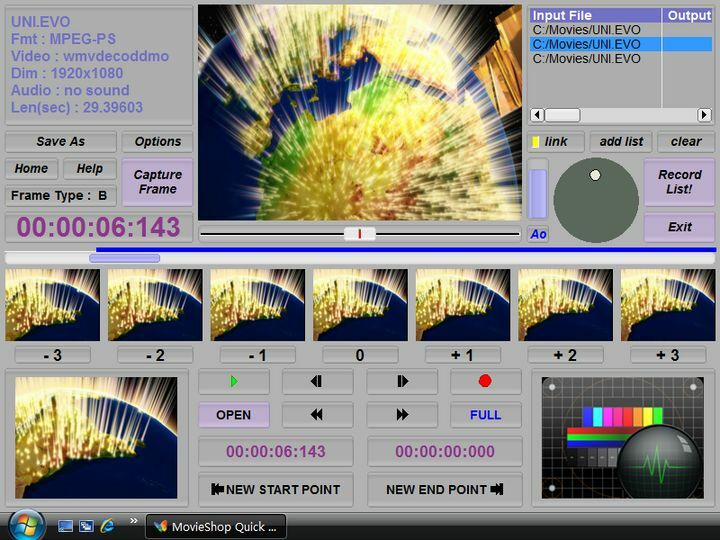 It is a Frame Accurate video editor. You can trim movies in ps/ts formats captured by DV Camcorder and DVB HD PVR easily with this tool. Cut commercials out of video stream. Especially, only small parts on start and end points will be re-encoded, the middle part will remain untouched, lossless. This gives highest speed while reserving highest video quality. So it is called 'Smart Rendering'. Supporting M2TS, TS, PS, TP, TRP, MTS, MPG, VOB, H.264/AVC, AVCHD, MPEG2, DVD etc.